Bella Vista, Ark. 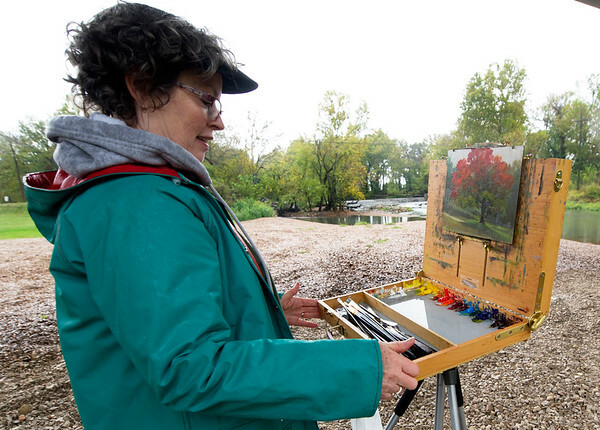 artist Julie Gowing Hayes displays her last plein art work before scouting out a new venue at Carthage's Kellogg Park on Wednesday. Eleven artists set up around Carthage for the Seventh Annual Maple Leaf Plein Art Paint Out, hosted by Cherry's Art Emporium. The best of the artists' work will be judged on Thursday night in the two-day competition.